In today’s digital age, gadgets and devices are ubiquitous and very important both at home and at work. Our gadgets help us with everything – right from scheduling to communication, from information dissemination to entertainment. As owners, we have to ensure that the hardware functions properly for a smooth and trouble-free user experience. If your computer, smartphone or any other electronic device is running a number of programs, it affects the speed of operation and negatively impacts user experience. One solution to this issue is to replace old hardware parts that are in need of an upgrade. A simpler and less expensive way is to update the firmware. Firmware is software which is programmed on the hardware to monitor, control or manipulate data for that component. It is usually held in non-volatile memory devices such as ROM, EPROM, or flash memory. 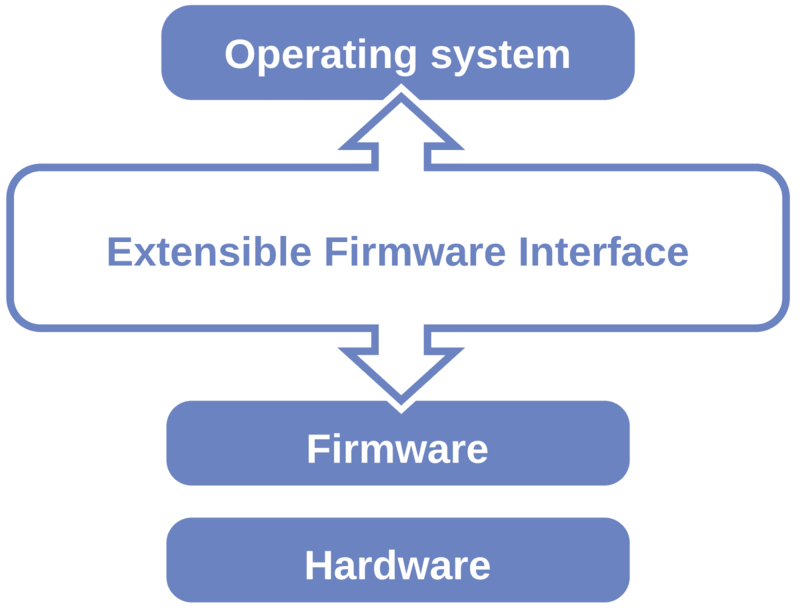 Firmware can also be defined as a set of instructions (usually referred to as “programs”) that help a device achieve the task it was made for, in other words, it is the backend programming that runs the machine. In contrast, software is a program which is created to perform specific functions on the machine (unlike firmware) like games and play music files on a media player etc. What’s involved in a Firmware update? A firmware update is upgrading your device with new and advanced operational instructions, which will enable it to operate better and at a faster speed based on the latest development of technology. There is no need to physically interchange anything; all you need to do is install the update made for your particular device. Software companies like Microsoft and Apple update the operating systems often to improve the product and add enhanced features. Therefore, to achieve maximum efficiency with the new system updates, it is recommended to keep your firmware updated as well. A firmware update will enhance the performance of your machine by improving instruction times, speculative execution time, branch prediction, out of order execution etc. The microcode (which is another name for firmware) controls all these functions. 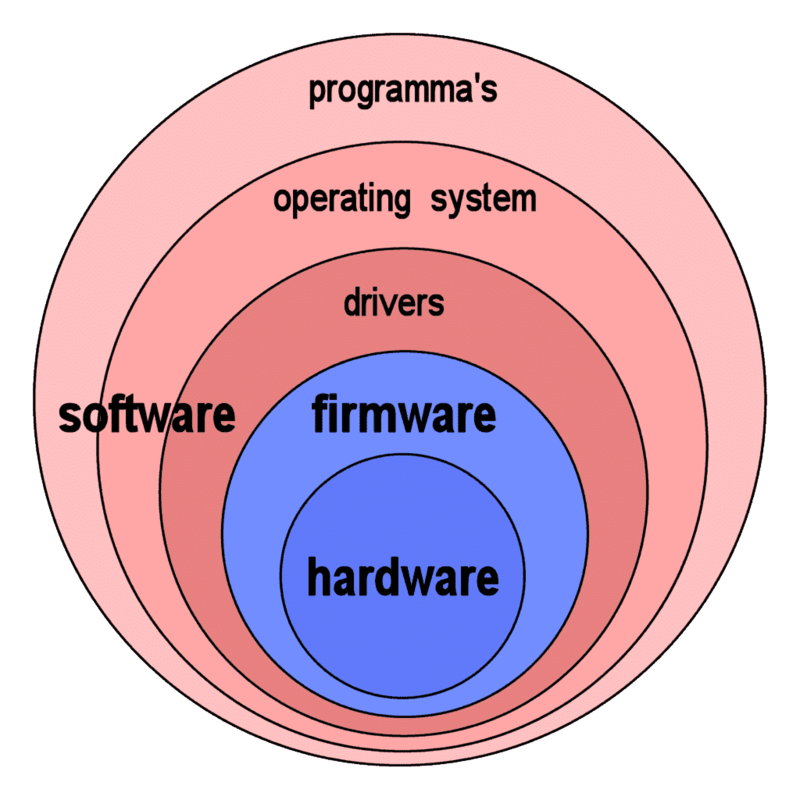 The diagram below illustrates where exactly firmware fits in the overall scheme of things. Bugs can cause the system to work erratically and utilize the resources of processor inefficiently. Firmware updates are expected to correct these bugs and improve the CPU’s overall performance. One simple way is overclocking or any kind of clock which can change the computer processors speed mechanism. You can overclock your CPU by setting it to run at speeds that are higher than their officially recommended speed rating. Overclocking can improve your CPU’s performance drastically, but it is recommended in moderation. When done by a non-expert, it can wreck the CPU, burn your processor and corrupt your hard drive. The second method is driver optimization, which will improve your data compression methods. Driver optimization results in faster decoding algorithms and helps utilize the hardware in a more resourceful manner. Updating firmware regularly can thus lead to faster processing and better performance. Why do we need a Firmware update? A software/firmware update improves the performance of a processor by driver and firmware optimization. The update makes the system more efficient, leading to increased performance and speed. We can definitively conclude: regular software/firmware updates can make the system (and processor) run faster. CPU time (or process time) is the amount of time a central processing unit (CPU) was used for processing instructions of a computer program or operating system, as opposed to, for example, waiting for input/output (I/O) operations (instructions from keyboards, mouse and to printers etc) or entering low-power (idle) mode. In some large IBM mainframe computers, you can buy more CPU time (the amount of time used by CPU to process instructions of a computer program or operating system, also called process time). When you input the license key in your OS, there is a significant enhancement in the speed of the system. Sometimes the OS scheduler refuses to schedule tasks and let the CPU go to sleep, or it runs a NO-OP (a NOP or NOOP (short for No Operation) is an assembly language instruction, programming language statement, or computer protocol command that does nothing) loop for a short time, to accomplish a given average throughput. The scheduler will remove those NO-OPs only if you pay for an expensive license. Firmware updates enhance the operational features and functionality of a product. It also provides service fixes for various issues that may have developed over time due to various updates to other software on your PC. These changes are vital in the technology domain; updating the firmware to gain additional features, functionalities, and capabilities will help prevent your product from becoming obsolete. New products are released in the market ever so often with advanced features; the firmware update for your current product will allow it to compete with these new products. It is not necessary to buy a new hardware, every time they are released; you can have the same advanced features on your device by merely updating it. Firmware updates also provide service fixes. If you update your firmware, you will eliminate the need for expensive repair for bug fixes. Firmware updates may not solve every repair issue, but these updates can save you from expensive repairs/upgrades in the future. We use several digital devices every day. Sometimes, you end up with a device that is not compatible with your current setup. Devices such as home entertainment systems become obsolete with the introduction of new technologies and products. The silver lining is that the logic operation of most home entertainment equipment resides in EPROM (electronically programmable read only memory or in some cases flash memory) and can easily be upgraded if you install firmware updates. Manufacturers: Usually firmware updates come from the manufacturer of the product. Software providers: These updates are released by software providers. For example, Adobe® releases updates for its Flash Player, which we use for watching videos. What should you consider before applying a Firmware update? Before applying an update, it is important to make sure that the update is for the exact model of the device that you own. If you apply an update made for a similar-but-different model, it can brick your device. Your old firmware will get overwritten by new operating instructions that are incompatible with your device, which clearly means that it will not work properly. Always check the model numbers before you apply a firmware update. If the update is not applied correctly it might lead to your device stop working. How do I find out about Firmware updates? The best way of getting an alert when an update for your device comes is to register your purchase with the manufacturer. Fill the registration form that comes with your device or register it online at the manufacturer’s website. Once you register the device, the manufacturer will alert you when there important updates. You can visit the manufacturer’s website and look for your device or model for a list of released firmware updates. You can join a message board or a social media feed intended to keep the users abreast of news or updates for your device. In a mobile phone, firmware updates fix issues with stability and issues such as reception problems (dropped calls), improved camera quality, call, and music volume, enhance the music player etc. If your phone has older firmware, updating it will definitely help it perform better. In case of a computer, the overall performance and speed of the CPU can get enhanced and various peripherals work better together, without hiccups or delays. Firmware update plays a vital role in enhancing your device’s functionality. After a firmware update, the user experience is akin to a new product. It does not only enhance your device’s performance, it also improves the functions of the processor. It is important to make it part of your routine to make sure you know about any new firmware updates for your device and install them as and when they are released. Now would be a good idea to set up a reminder for checking up on the latest firmware for your device on your cell phone!